Biltmore Tuxedos in Ridgewood, NJ offers the best in NJ tuxedos. 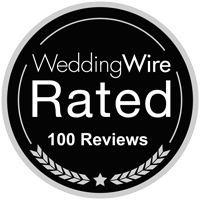 Check out Biltmore’s reviews on theknot.com and read what dozens of NJ brides and grooms have already discovered. Great looks, great fits, and outstanding service are all part of the first class Biltmore Tuxedos experience. Biltmore Tuxedos of Ridgewood is a full service tuxedo store located in the heart of downtown Ridgewood, NJ. Whether you want to rent a full tuxedo or purchase cuff links from our extensive in-stock collection, Biltmore’s top quality offerings will help you get dressed with distinction. The expert staff at Biltmore Tuxedos boasts a combined 100 years of experience in the business. The level of customer service you’ll receive at Biltmore Tuxedos surpasses any other tuxedo experience you’ve had. Check out Biltmore’s five star reviews or stop by their East Ridgewood Ave location in Ridgewood to experience it for yourself!